Three minutes is all it takes for a healthy & delicious lunch! 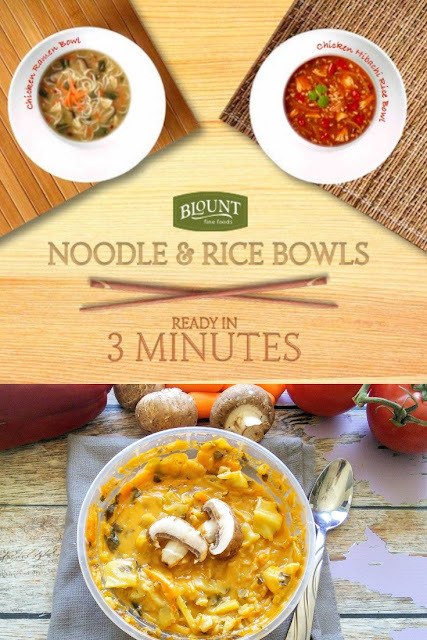 I received samples of Blount Rice & Noodle Bowls to facilitate this post but the opinions are my own. My husband's job keeps him quite busy and he often has little time for lunch. So if he does not pack a lunch, he tends to grab lunch at a fast food place. He knows that is not the best option for lunch but when hunger strikes and he has little time that is what he eats. So I make sure he has food options at home so he can quickly pack a lunch the night before. I know I could make his lunch for him but the one time that I did, I made it all wrong. It had something to do with not placing the sandwich fixings in the right order. So I don't make his lunch anymore. My husband lately is tired of sandwiches so I have been trying to buy healthy food that is easy for him to combine into a delicious lunch. My husband likes quick and easy lunches. So when I discover these rice and noodle bowls that only take three minutes to cook, I decided to have my husband try them. My husband liked that he could keep some in his office fridge for quick healthy lunches. 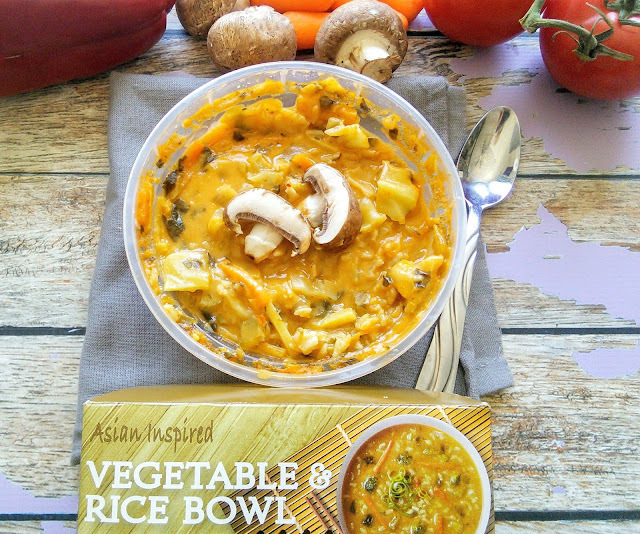 The flavors of these meals sounded so delicious that even I had to try one. My husband like that these quick meals had meat in them. 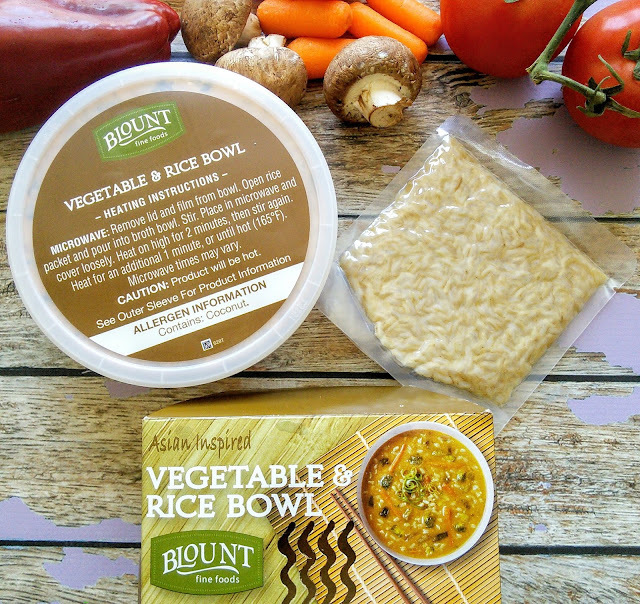 I like that Blount thought of us non-meat eaters and made a delicious vegan Vegetable & Rice Bowl that is even gluten-free. My boys were excited about the noodles in the meals. Everyone agreed that the best part of these meals, after the delicious taste, was easy they were to make. My boys know how to use the microwave so they made their own Blount Bowls on a night that this mom did not feel like cooking. It was quite simple for them as all they had to do was add the noodles to the sauce bowl and cook for three minutes. The meals had plenty of flavor and veggies. My picky eater actually ate vegetables that night! He said that the roasted sauce from the Hibachi Chicken & Rice Bowl was so good that it made the vegetables taste good! My son had no clue that he ate red peppers and onions as all he tasted was a delicious tomato sauce. and said it was a delicious soup with noodles. Blount also has a Beef Pho Vietnamese Style Beef Noodle Bowl for those who love beef. My husband has requested that I buy these Rice & Noodle Bowls more often so he can grab them out the door for his work lunch or enjoy one on fend for yourself dinner nights. 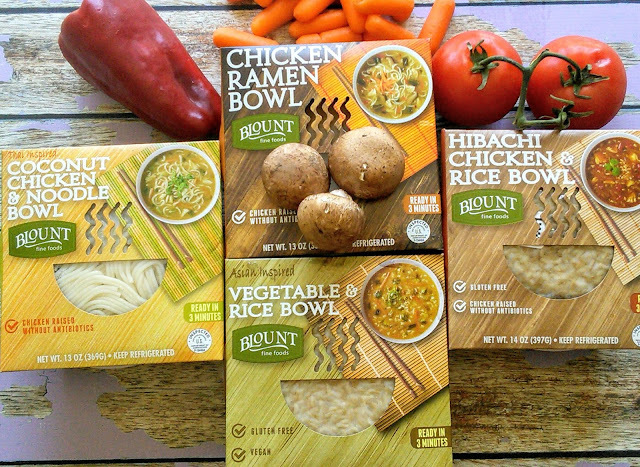 Discover all the Rice & Noodle Bowls that Blount makes HERE. Which Noodle or Rice Bowl would you try first? Thanks a ton! I am looking for something like this only. Healthy Meal which gets done in minutes and the most important thing is that even kids also cook this. 3 min, really, I cant even brush my teeth in 3 minutes, lol. It looks so delicious and is so healthy, thanks for sharing..!! Okay! Now this is a routine I can get on board with! 3 minutes! AMAZING! These look so delicious! I think I will like these. Plus I like how easy they are to prepare, which is always a plus for me. Great that they are easy and quick to make. Also like that they are gluten free. I'll definitely look into Blount a bit more. I'm gluten free so finding gluten free packaged food its always an exciting treat. 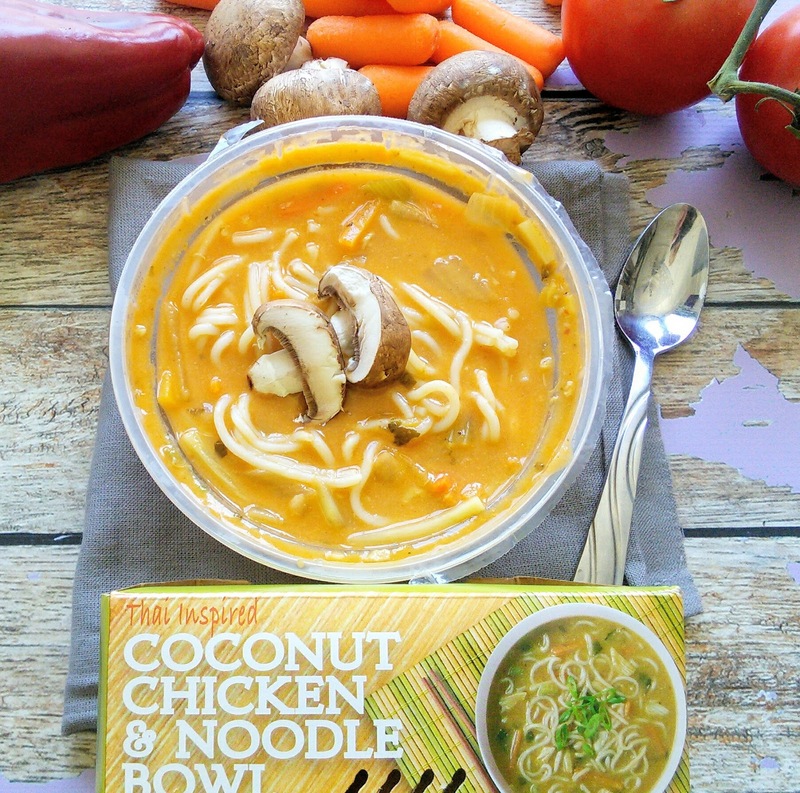 Oh these look really tasty, especially the chicken and coconut soup. I've never heard of Blount but love the options in their line and that they dont have antibiotics. Oh this looks really yummy. Seems easy to make. Let me check if I get all the ingredients. If I do, will surely try. These are definitely great options for when you want a fast dinner or when you don't have time to cook. I would like to try the coconut chicken one. Where are these available? I would love to try the ramen bowl. Those look really good and I like that they’re more natural and healthy. I’ll have to check out their site. 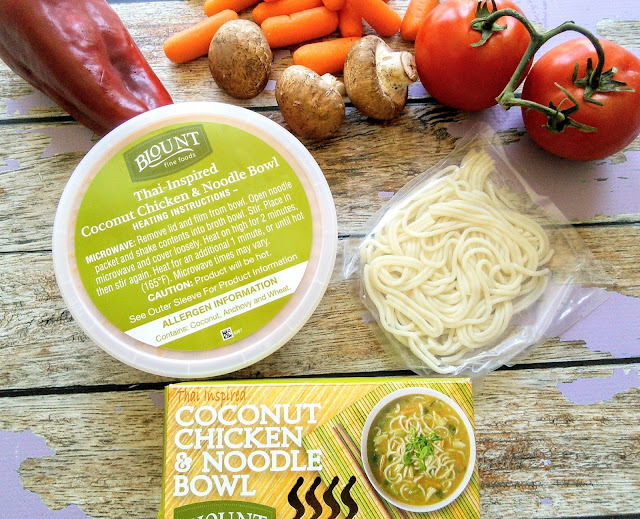 The Coconut Chicken & Noodle Bowl looks so good! There do you find these? this is a great recipe! i will try this this weekend! This is very convenient especially for busy people for lunch, or at night time and feeling lazy to go out. Amazing product! I have friends that laugh at me because I still love ramen. I make it so many different ways. I am such a ramen lover. And with the cooler fall weather I’ve been enjoying ramen almost every day! I'd love to try the Coconut Chicken & Noodle Bowl. These look delicious!